Open world zombie game Days Gone was delayed to 2019 earlier this year to apply more polish before launch. The game likely won’t be showcased at Sony’s upcoming E3 2018, but the flipside is that Game Informer has been revealing new gameplay footage and a ton of new information about Days Gone over the month of May. The latest article posted yesterday is a video interview with some of the key developers, in which they clarify the ambition behind this game’s development. The first thing to be clear about is, we are Sony. Sony Bend is Sony. We have a whole team of producers, they would come down monthly. They’re constantly working with marketing and PR and outsourcing to make sure that what we’re building is something we can sell because that’s important, but also something that’s worthy of first party because we’re part of Sony. That makes perfect sense. With almost every first party studio at Sony Interactive Entertainment Worldwide Studios knocking the ball out of the park (just think of the recent example of Sony Santa Monica’s God of War, last year’s Horizon: Zero Dawn by Guerrilla Games and of course all the games made by Naughty Dog), there must be a healthy sentiment of internal competition as the folks at Sony Bend want to prove they can create something great, too. 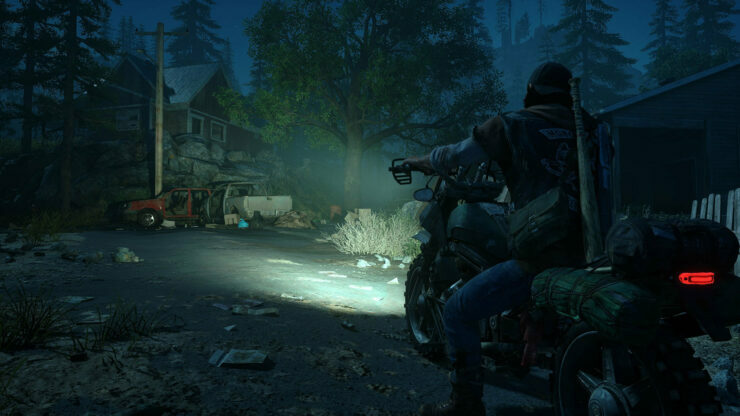 Days Gone has been described by its makers as Sons of Anarchy meets The Walking Dead, with the game’s protagonist Deacon St. John pictured as a biker who prefers to wander the post-apocalyptic Pacific Northwest area of the United States rather than live in the relative safety of the remaining human settlements. It went into full production in January 2015, so it will be over four years when it launches next year.